KATHMANDU, March 28: Police on Tuesday alone arrested 21 cadres and leaders of the banned Netra Bikram Chand-led Communist Party of Nepal (CPN) in what has been described as a nationwide operation to arrest the central leaders of the outfit. However, all the 21 arrested on Tuesday were junior leaders of the outfit-- up to the rank of ‘district in-charges’. This has raised suspicions whether the central leaders of the outfit have gone completely underground and if they have, what will the security agencies do in order to nab them by mid-April, the deadline set by the prime minister. As part of a major operation against the outfit, a team of police deployed from the Metropolitan Police Crime Division arrested the mid-central command leader of the outfit Hemanata Prakash Oli and four ‘commanders’ on Friday. Similarly, police also arrested the Koshi bureau coordinator of the outfit Ghanshyam Shrestha aka Pushkar on Monday. Nepal Police spokesman Senior Superintendent of Police (SSP) Uttam Raj Subedi claimed that all central level leaders of the Maoist outfit have gone into hiding. 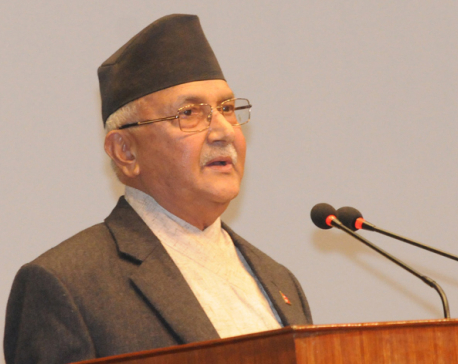 “All the activities of the individuals associated with the outfit are being closely monitored; however, we have not been able to track down the top leaders,” Subedi said. Additional Inspector General Pushkar Karki, the chief of the special task force formed by the Nepal Police in coordination with the Armed Police Force (APF) and the National Investigation Bureau (NIB) to monitor the activities of the outfit leaders, said that the security agencies are doing everything in their powers to nab the outfit brass at the earliest. Previously, issuing a letter on Sunday, the Ministry of Home Affairs (MoHA) claimed that anyone providing any direct or indirect support to the outfit will face action. The government also warned various businessmen to refrain from providing ‘donations’ to the outfit or face action.